The temperature has been in the low-40s to the low-60s with showers on and off the past few weeks. Shadow Cliffs has already received several fish plants this season, and is scheduled to get a fish plant this week and next, so fishing at Shadow Cliffs is only going to get better! On 11/14 Addison Jolly caught a 7 lb. trout. He was fishing off the Stanley dock, and was using orange Powerbait. John Baines of Livermore caught a 3 lb. and a 4 lb. trout fishing of the 3rd dock. He was using chartreuse Powerbait. On 11/19 Chris Nuckolls was fishing down by the boat dock when he caught a 2 lb. trout. He used worms for bait. 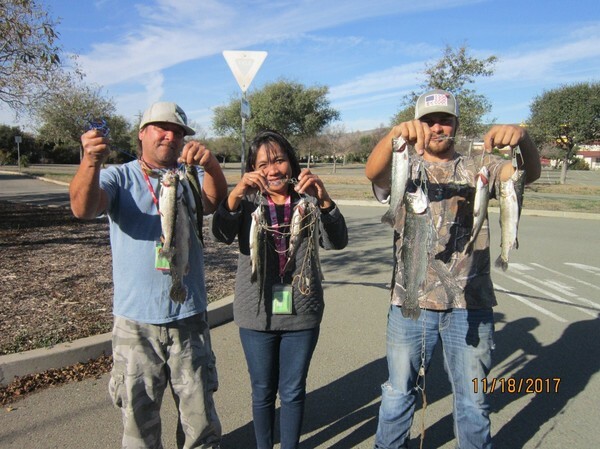 On 11/20 Sam of Pleasanton caught limits of trout bait-fishing. He was boating near the east side of the lake. Thirteen-year-old Jeff Priscaro of Pleasanton caught 2 trout on mice tails. He was fishing on the Stanley Shoreline and he almost reeled in a big trout on a Kastmaster but it got away. On 11/21 Jeff caught a trout fishing from the Stanley Shoreline. 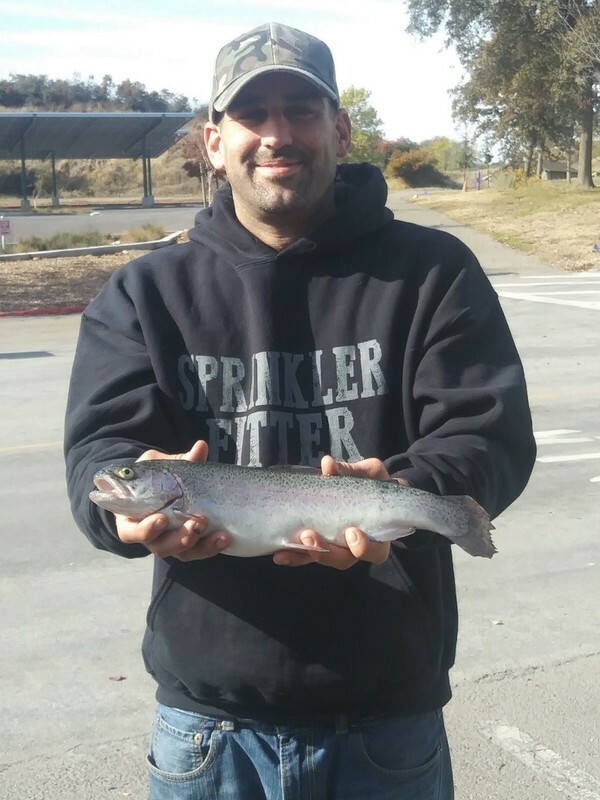 Jose Anaya of San Jose caught 2 trout and he was fishing down by the 2nd dock and he was using Powerbait. On 11/22 Robert Muchna III caught a 6.5 lb. trout on pumpkin Powerbait and he was fishing on the Stanley Dock. On 11/24 Mel was out trolling on his kayak using Rapalas when he caught limits of trout. On 11/26 Quillermo caught a 5 lb. trout on marshmallow-white Powerbait and spring green Powerbait. He was fishing of the Stanley Shoreline. Moses Miciel caught 2 catfish totaling 19 lbs. and he was using worms. He was fishing from the Stanley shoreline. Anglers report seeing small bass all over the main lake and they say they are hiding in the weeds.